A normal person, Xin Yun, received a second chance by transmigrating to an unknown world. But because he chose to indulge in women, he lost his chance to become the most powerful. When he gets caught by the force a struggle between the nine most powerful experts, something unbelievable happened, or it could be said that a miracle occurred. Xin Yun was reborn and sent back to the place he had transmigrated over to. Having been reborn, Xin Yun decided he wanted to become the strongest being together with the three top experts from his previous life: the most beautiful dragon- Sparkling Butterfly, Yi Luo Xiang, the cruel dragon- Evil Empress, Yan Qing Ying, and the most dazzling dragon- Peacock King, Ming Xuan! Furthermore, he wanted to pursue love with the most beloved person from his previous life- Yi Luo Xiang! Xin Yun, making use of his good fortune, used his memories from his previous life to prioritized becoming friends with Yi Luo Xiang, Yan Qing Ying and Ming Xuan. He even received a godly artifact from his previous life- the Heaven Splitting Axe! regarding this work, i noticed alot of romance albeit it’s in a pseudo form. being them children and not adults the scenes cannot go in a certain direction and all the gags using this as excuse are nice and fun to follow. the MC here is a fella reborn 2 times (like in against the gods) and of course, retaining his full memory of the past lives (photographic memory ! they all have it, it seems), he tries to be the strongest of the dragons. dragons here means a powerful being riding an actual dragon. albeit this dragon can be of different forms. a butterfly, a spider, a snake or even a bear for what the author made me understand (similar to Dragon Drive main gimmick). @skgjl: don’t know, the plot is full of clichés to the point you simply want to ignore them and enjoy the reading. about the potential and the chapters you indirectly mention here, 1) butterfly girl character is shy so whatever she showed you is due to her own response to the situation. also, i don’t see the struggle you mention. 2) here we have to explain. you surely noticed the aptitude \ talent is something inborn in the characters, right? the MC reborn 2nd time and used his experience to advance quickly, but he is shocked by butterfly girl incredible talent and intelligence. the lines appeared each time they trained or compared the progresses. so, it’s easily imaginable the MC aptitude isn’t so great. If a dunce is bathed with gold, he’ll only become a golden dunce (a rich idiot), nothing more. the gold won’t make the dunce a smartass, nor an invincible warrior. Unless, of course, the author decided otherwise. In this case, is so obvious the MC aptitude\talent is low from start. Only, he’s able to gain great resources and riches due to his memories of past life. In fact, he doesn’t know some stuff regarding butterfly training nor he knows about student life in the academy as he didn’t lived there in the past. The author simply didn’t cared to explain the system of this world, that’s it. Probably the novel explain all in the details, so if you like, you can go reading it to see the differencies..
hope you’ll respect it as i respect yours. well, then why does that spider girl said it is her mistake to block the MC to help her? and why does the MC feel so guilty not helping her and make her cry? the only thing that makes him feel guilty is his GF crying not because of that dragon tree parent. anyway, it’s still the fact that the MC does nothing yet he acts like the hero and claim the deed. mmm, i still have to read this title, as when i saw it i thought it was something akin to other dragon-related fantasy. seeing your opinions it’s basically a manga to follow for its cute characters rather than the plot, as it’s inconsistent and full of tropes and clichés. Instead of having a continuity between chapters, this title is a rollercoaster of contradictions…better to enjoy it each chapter alone, like they’re single chap stories instead. mmm… i’m mostly in doubt here as the author did also the legend of the phoenix, a title i like alot. and there, the author did a good job with the chars and the plot. boh, maybe this was his first and early work, and LoP his second one, this would explain why the LoP one is good and this not. so far is good until that dragon fruit test… he act cool, high and mighty when all tree dragon gives him the fruit but in fact, he is just the same like the bad guy as he decided only to watch that tree parent get butchered. that tree dragon doing that is only because of his gf action not because of him, what a hypocrite. I like this one. The story is a bit slow but the characters are very cute and attaching. Also, the drawings and colors are amazing! The problem is not whether the mc is weak or strong, it’s just so inconsistent. First his party farms some high level dragons, next his super op gf struggles against some random kid in academy exams. First mc absorbs unique gem with exceptionally high potential, next he shows bad aptitudes on exams, because he must be a hardworking Nurutu. It’s like author doesn’t give a damn about what he wrote in previous chapters and just puts all possible tropes in his manhua, even if those tropes contradict each other. @Ucyber, Well, a weak hero(becoming stronger) is better than any SUPER OP boring main character. Where the fun in reading if he is the strongest/OP in the beginning. I bookmarked on the xxrock site then copy the title searching on this side, no result then I shorten the keyword still no result. 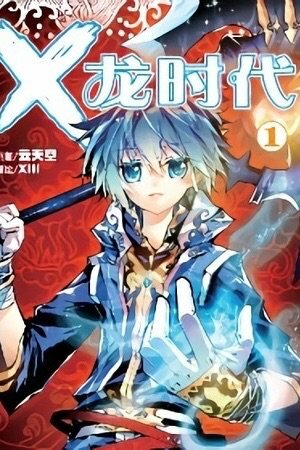 Two months later, I searched again on this site and yet still no result then finally I read on xxrock site till the last released chapter and two day later 33 chapter released on this site. Kuso…..........!!!!!!!!!! !